iPhone is known for having a great camera. In the age of selfies and Instagram, it’s no guessing that we like to take hundreds and hundreds of pictures; whether we are attending an event, traveling or meeting people. But what happens after we have taken these photos? They are stored on our camera roll, few of them end up going on social media or send to friends via apps like WhatsApp or Messenger. This is just a one-sided conversation. Learn how to share iPhone photos with family or friends easily. Have you ever wondered that your group of friends who went on a trip wants to create a library of photos from a trip? Or you want to share your kid’s photos with their grandparents? Well, the answer you’re looking for is the photo sharing apps or services. The method of sharing photos is smooth and manageable. By any chance you’re using WhatsApp or email for this purpose, it will turn into a nightmare immediately. Without any effort for all the members of the group they can with ease add a photo to the album and able to download them as well. You don’t need to set any privacy to comment on photos, they will be only shown to people who are in the group. If you decided that the photos are too amazing just for the group, well you can create a public link for anyone to see your album. The method is by-far quicker. Finally, all of your shared album photos, if enabled, are backup in the cloud for safekeeping. We have decided to just talk about only these two options because they’re currently the best options in the market. Below you’ll find in-depth analysis of these two services. First, iCloud Photo Sharing is by default installed unto your iPhone and it will take about 5 steps to start sharing pictures to your friends and families. The method is very easy to follow. Alas, we don’t live in a perfect Utopia where everyone has an iPhone, therefore, the iCloud Photo Sharing service is only limited to Apple devices, sorry Android users. We also faced many glitches and bugs with the service; for example, we had issues with adding people to the shared album. We could only add a person at a time not able to select multiple. Secondly, Google Photos, it is on every device whether it be iOS, Android and Web, well it’s Google we shouldn’t be surprised. One great feature about Google Photos is that you are able to share photos in the album via the internet. This feature is not available for iCloud Photo Sharing. 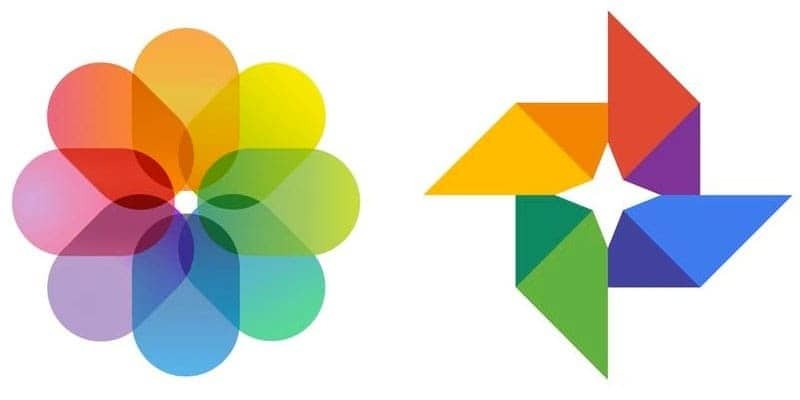 Now, if you like Google online features and are a heavy user, then the best option for you and your family is to use Google Photos. Even if few of your members have an iPhone they can use this service. If everyone in your circle is an Apple user, the best option is to use the Apple’s built-in feature, iCloud Photo Sharing, through the ‘shared’ tab in the ‘photos’ app and you’re all set to go. By using iCloud Photo Sharing, you need to create an album and then simply share it with your circle. Additionally, if you upload a video or a photo in the album, they would be able to see it and get notified as well. After uploading the photos/videos your friends and family are able to like and comment as they please, plus they can also upload photos/videos to the shared album. If you’re unable to access iCloud Photo Sharing service or don’t see the tab then it must be off. In order to turn on the service just from your iPad or iPhone access ‘Settings’ – ‘iCloud’ – ‘Photos’ – then turn on the ‘iCloud Photo Sharing’ option. Accessing the Photos app go to the ‘shared’ tab, you are now able to see an album titled ‘family’. It’s up-to you to use that album or create another album folder. To create a new album just tap the ‘+’ icon and enter a name for the album. Now the next screen will give you the option add members to the album, find the people you want to add by searching them through your contact list, once added tap ‘create’. You can easily add photos. Just go to the photos app, select all the desired photos and then tap the ‘share’ button. Now from the options select ‘iCloud Photo Sharing’ and decide the album you want to add the photos into. Finish, now the members of the shared album will be notified. Mac gives you the option to share the photos from the Photos app. And you would be able to view the photos on Apple TV, only you need to be signed in from the same iCloud account. Shared albums will only be editable on Apple devices, and you can create a ‘Public Website’ for a desired album so that anyone can view it by using a link. It will create a static page where the viewer can only see the album and not add anything to the album. If you’re a Windows user don’t worry there is a Photos app as well for Windows. 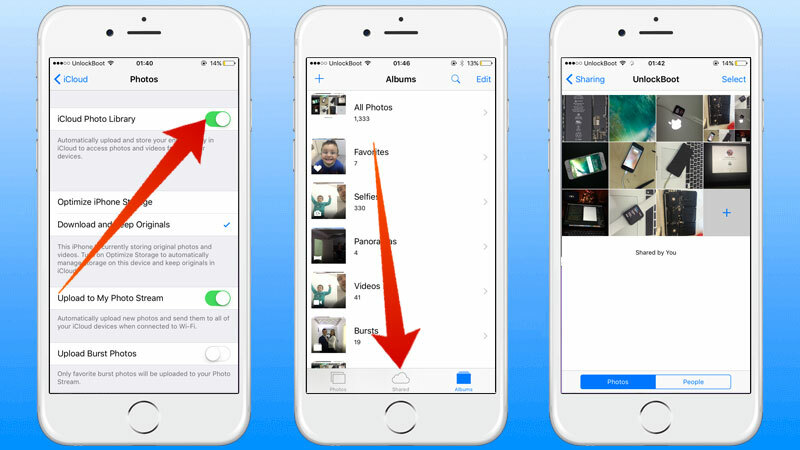 To save a photo you have received in the shared album, just tap on share and select the save image button. iCloud Photo Storage doesn’t use up your iCloud storage limit. But there is a 5000 photo per album limit. 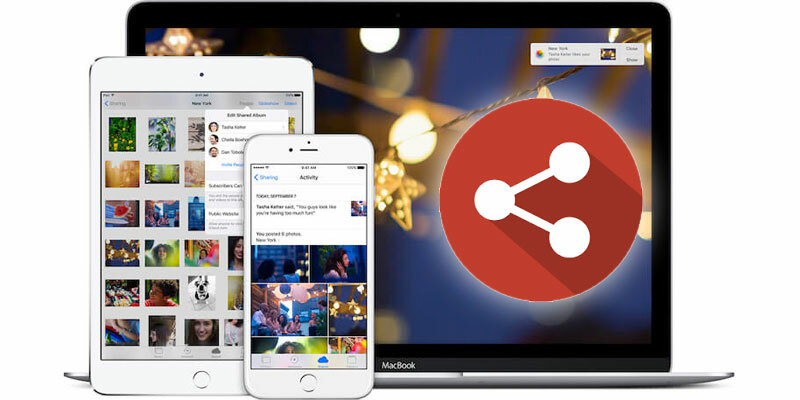 A cross-platform service is provided by Google Photos, you can share photos from iPhone, iPad, Android and also from the internet. If you have a mixed bag of iPhone and Android users in your circle, this app is the ultimate option for you. You need to dig a little into the app to figure out the features but once understood it becomes much easier and accessible. Google Photos like the iCloud gives you an unlimited storage but limits the photos to 12 Megapixels. To get started with a new shared album, tap the ‘album’ button and choose the ‘shared’ option. After that select the ‘+’ icon from the bottom-right and proceed to select the desired photos form the gallery that you want to share. Afterward, choose a title for the album and invite people. Now, the invitations have been sent and whoever joins the album, you are going to get notified by Google. 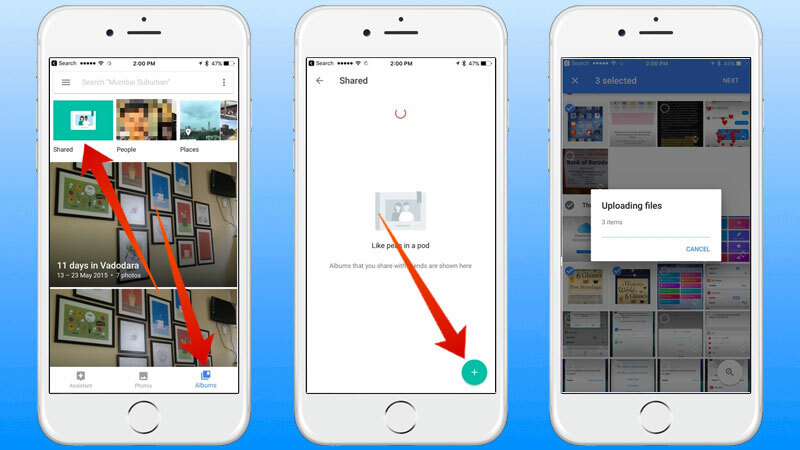 You are going to also get notified when someone comments or add a photo to the shared album. Finally, you can create a public link for users to share to the album through the web.